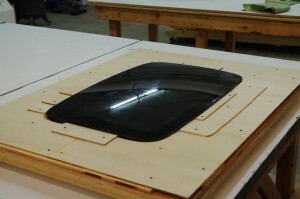 02′-06′ Acura RSX Sunroof, New Mold In Process – Northwind Composites, L.L.C. It’s winter time and that means it’s time to put up the sticky tires and pick up the wrenches. Recently we had a customer come to us looking for a sunroof replacement for his Acura RSX. Unfortunately, we didn’t have a mold readily available to support him. However, we’ve managed to work something out and Northwind is pleased to officially announce we’re breaking into the Honda/Acura world. The tooling process is underway and we’re planning on having the production mold ready by the start of the new year if not sooner. We can’t think of a better way to start 2016 than with shiny new molds and happy customers.